This is one of my favorite things to eat for breakfast, lunch or even dinner! 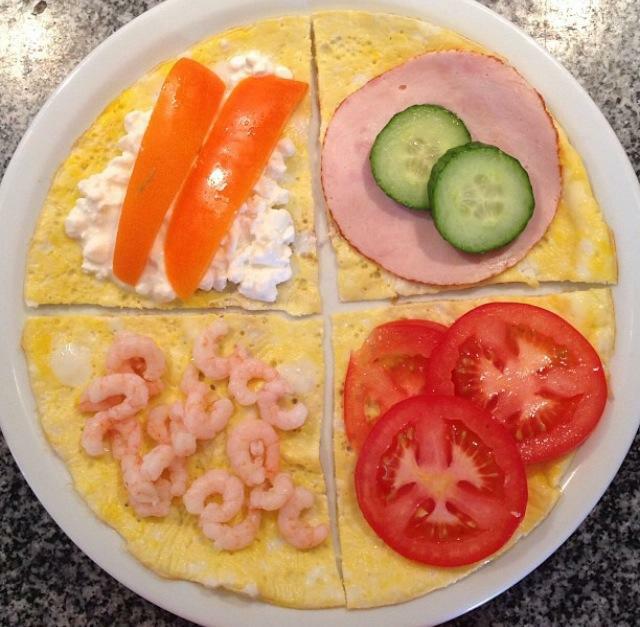 I make an omelet, cut it into quarters and decorate it with different toppings. For topping I can recommend shrimps, chicken, cottage cheese, fresh or steamed veggies etc. 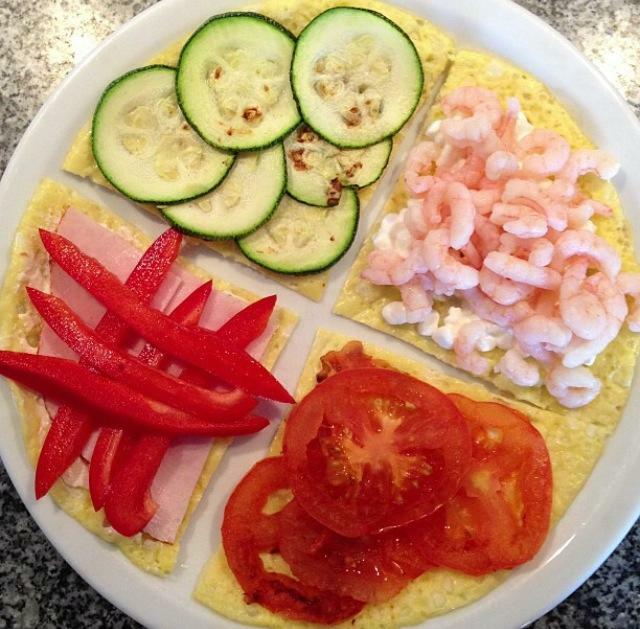 It’s very easy to make, it’s healthy and it’s delicious!